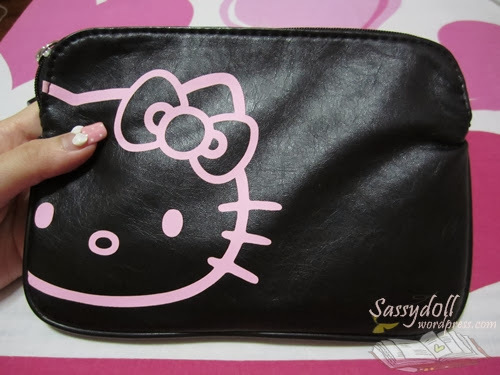 #Review# Hello Kitty Makeup!! Must-have for the Kitty lovers! 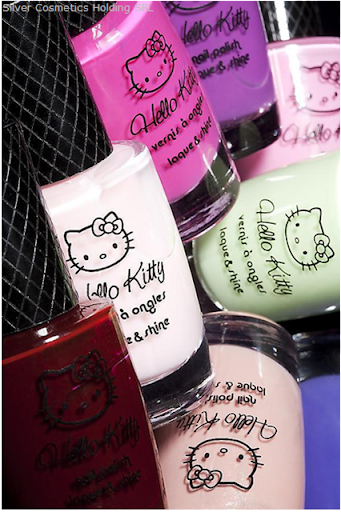 Are you a fan of Hello Kitty? Good news for you! 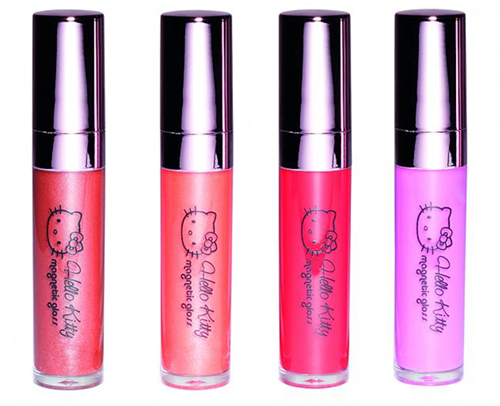 A complete range of Hello Kitty Makeup is now available in SG!! 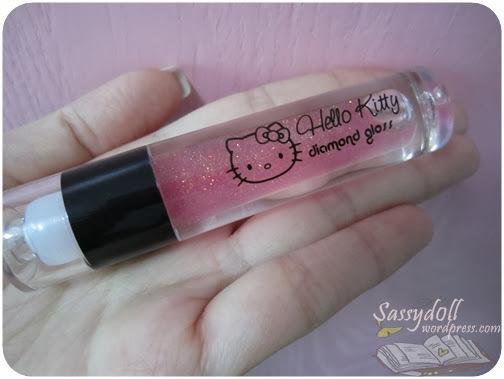 I have previously did a review on the Hello Kitty Diamond Gloss if you’ve missed it. 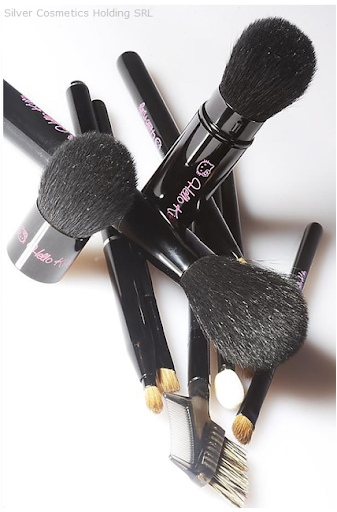 And now the full range include, compact powders, eye shadows, blushers, lipsticks, nail polishes and brushes! Heart the cute pouch that comes with my sponsored products. A pink mirror is included! 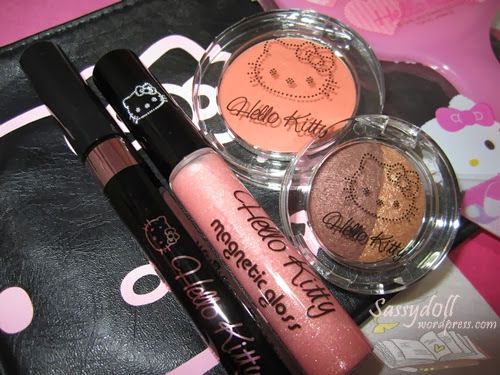 I am not really a fan of Hello Kitty, but when comes to makeup, I get “high” with pretty and cute packaging! 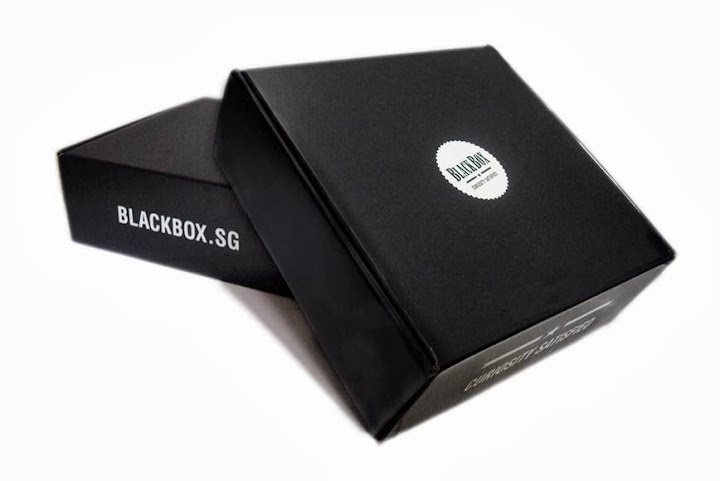 So when I saw how lovely the makeup items were, they really made me enjoyed doing my makeup! 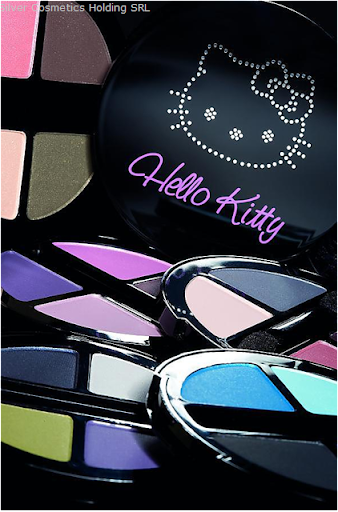 Hello Kitty Eyeshadow comes in mono and duo palettes. 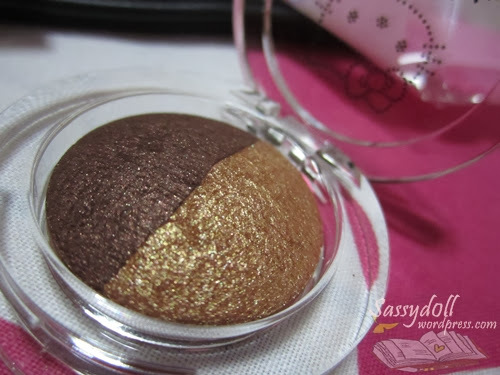 My Hello Kitty Kawaii Duo Shadow is in 13 – OR & TERRE! 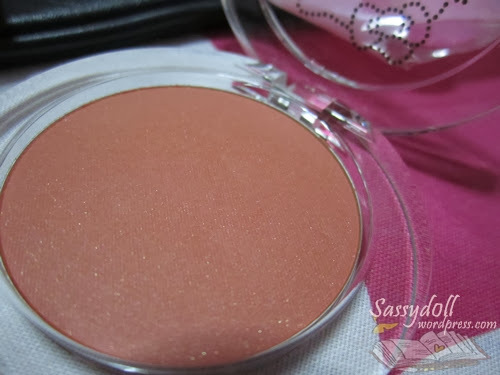 It is so easy to apply even if you are a newbie to eyeshadow! The colour is easily picked up. Blending needs some skills and efforts. 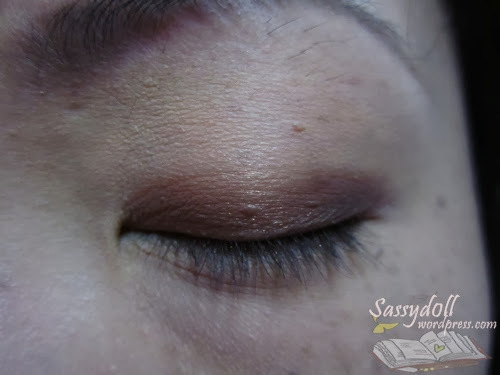 As I use it for work, I do not overdo the eye makeup but has sort of just applied slightly above my crease lines to enhance the double eyelids visibility. Simple and can be natural if I apply with light strokes. Mascara, one of the cosmetics that do magic to the eyes. 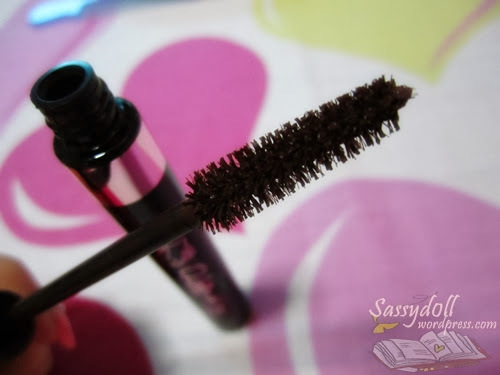 I cannot do without a mascara because it really thickens my eyelashes and bring some “life” to my tired-looking eyes. It is my second time to try a brown mascara. 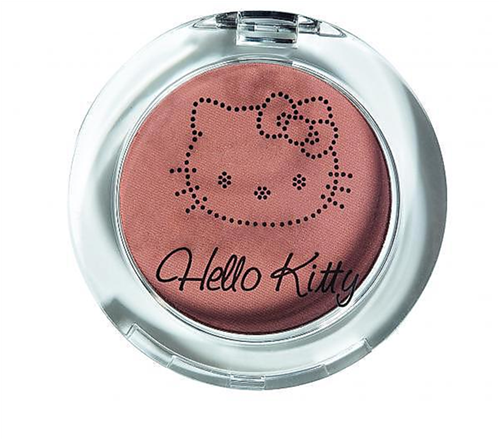 When I want to go for a sweet look with light makeup, Hello Kitty Pretty Mascara 04 – Intens Brown is my choice. Hello Kitty Pretty Mascara comes with a high-tech double fiber bristle which makes volumizing and lengthening the eyelashes possible. However I face a little mascara clumping my eyelashes issue. I have to give my eyelashes some brushes to separate the lashes. On closer view, my eyelashes look sparsely separated. But from afar, especially from sideviews, they look just right and natural. I just have to be patient and give my eyelashes a few more coats (before the coats get dried) to result my perfect mascara-ed eyelashes. 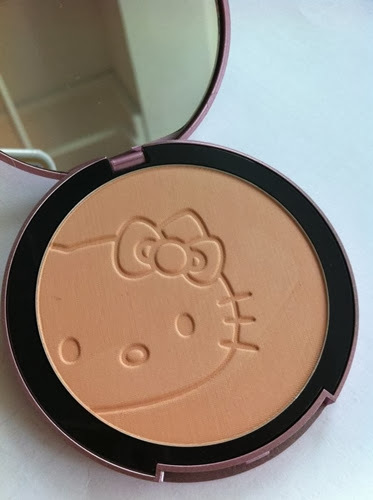 I tried on Hellow Kitty Tokyo Hit Blush 02 – Florence on my skin which is relatively fair. the bling bling Hello Kitty head! I find that so gorgeous! Looks like something from Swarovski! Do not judge the COLOURS by the tube! 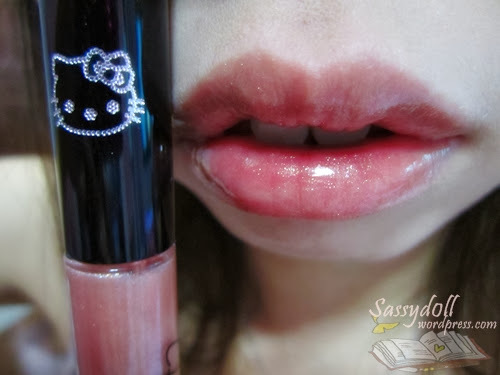 Hellow Kitty Magnetic Gloss 03 – Baby Lip may seems pretty dull, but when I apply it on my lips, my lip colour turns into sweet rosy pink! 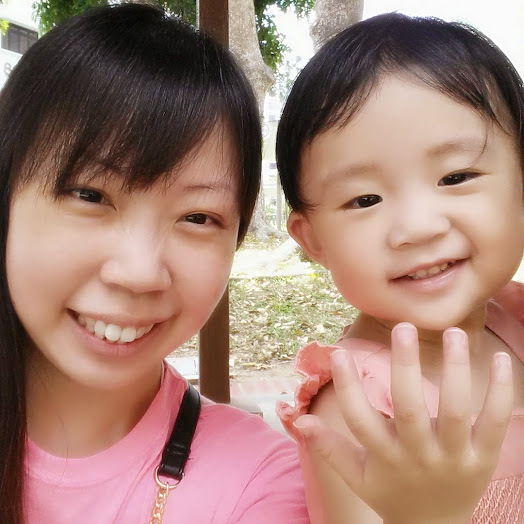 I love the shine and the plumping effect 03 – Baby Lip give! 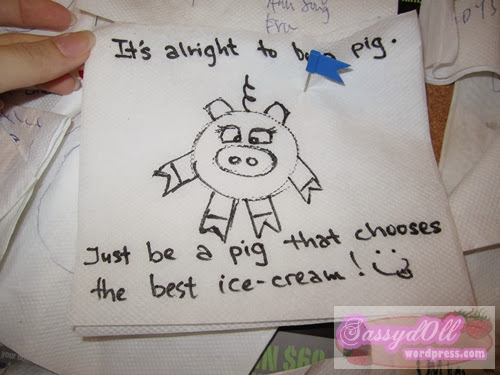 On top of the kawaii packaging, these products are of high quality all the way from France! 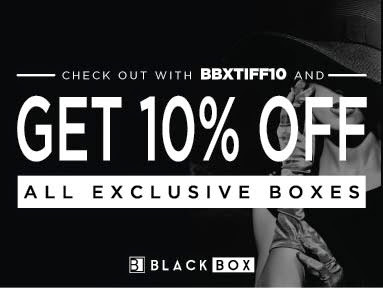 Christmas and New Year are coming, perhaps you will want to add them into your new wishlist? 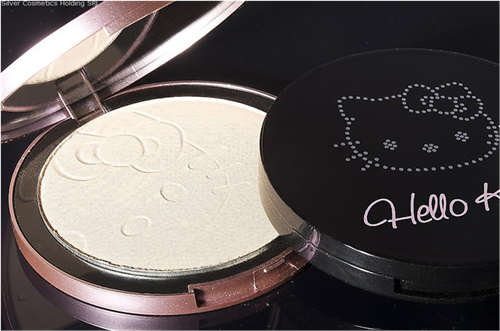 Hello Kitty Makeup range is now available at selected Watsons stores in SG.